On September 24, 2017, the Germans will go to the polls to decide who will run the country for the next four years. There are plenty of informed articles on the dynamics of the 2017 election (e.g., “Germans on the Eve of the Election” in Der Spiegel, “Germany’s election campaign ignores the country’s deeper challenges” in The Economist, Germany’s election: Merkel holds ground in TV debate from BBC News). A new (or more likely, the same) chancellor will be (re-)elected. But Germans don’t actually vote for a chancellor candidate. 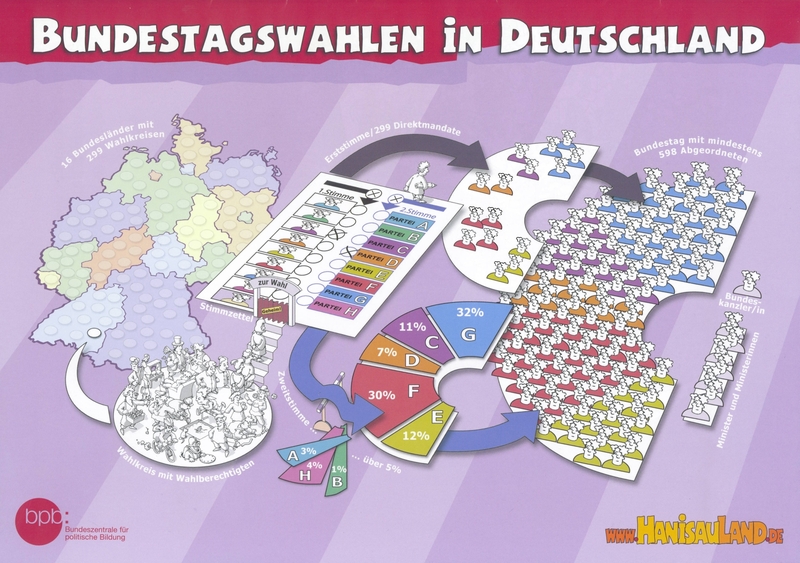 How then does the German system of representative democracy work? So the question remains: How is a chancellor elected? 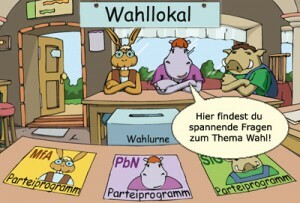 Deciding who the next chancellor will be is the first job of the newly elected parliament (Bundestag). The party that has the most representatives in parliament usually determines who will be the next chancellor. This happens either because a party has more than half of all the parliamentary seats,and therefore an absolute majority of the votes, or because that party has formed a ruling coalition (Regierungskoalition) with one or more other smaller parties, in which compromises and concessions are made, including deals regarding appointments to posts within the chancellor’s cabinet. After consulting with all the parties represented in parliament, the federal president (Bundespräsident) nominates a candidate. The parties most likely to win the election typically decide who they intend to put forward as a chancellor candidate long before the parliamentary election (Bundestagswahl). This is why Angela Merkel’s and Martin Schulz’s names and faces have been in newspapers, magazines, and in campaign advertisements for months. The candidate must be at least 18 years old and a German citizen, but needn’t be a member of the newly elected parliament. The Bundestag members then vote on the nominated candidate. An absolute majority, i.e. half of all the possible votes plus 1, is required for the vote to succeed. Thus far, every German chancellor has been elected with a majority of votes during the first voting round. Should this vote fail, however, the parliament has 14 days to elect a new candidate by absolute majority, and after 14 days have passed, by a relative majority of the votes. The new chancellor (Bundeskanzler or Bundeskanzlerin, as the case may be) takes office as soon as the Bundespräsident makes the voting results official. Then the federal ministers and secretaries are appointed by the Bundespräsident at the suggestion of the new chancellor. The chancellor’s term in office lasts four years and officially ends with the selection of a new Bundestag. However, the ruling chancellor continues to carry out the duties of the office until the new parliament elects a national leader.